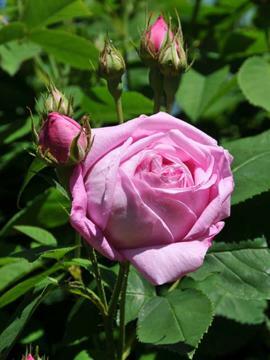 Bourbon shrub rose with an upright bushy habit, or can be trained as a climber. Large dark green leaves. Clusters of fully double, globular, very fragrant, pink flowers, produced in early summer.